Only Raven Simone will be spared. Like an unemployed, daytime TV-addicted 25-year-old with a Joy Behar fetish, the American government has now expressed some uncomfortably strong opinions about The View. 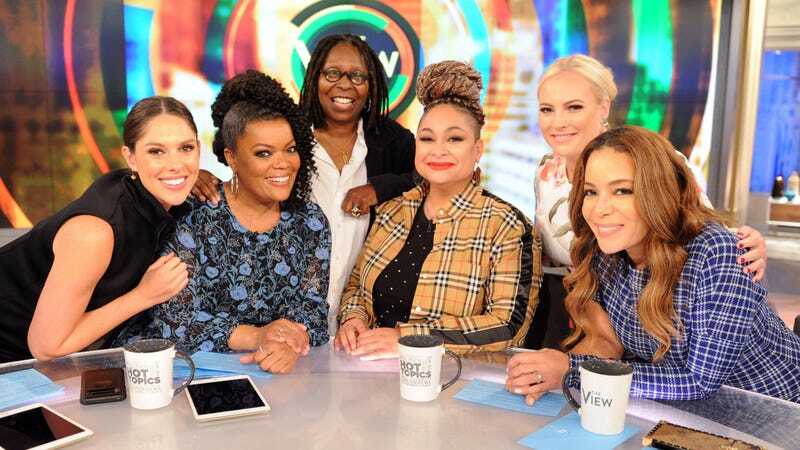 White House press secretary Sarah Sanders took aim at the long-running ABC chat show last night, when she expressed umbrage on Twitter at a comment that Yvette Nicole Brown—America’s queen of substitute hosting!—made this week about Melania Trump. Specifically, Brown was reacting to a high-profile interview the Queen Of “I Don’t Really Care, Do U” gave to the network’s 20/20, in which she expressed the opinion that she could care less about rumors of her husband’s various and myriad alleged infidelities. To which Brown responded, “Is it possible that she’s not concerned with his mistresses because she was one of them? Is that possible that it doesn’t affect her in that way?” Which, damn, Shirley! Per Deadline, the show’s co-hosts didn’t spend much time on that particular topic, possibly because they didn’t want the president’s press secretary yelling at them, too. But that didn’t stop Sanders from calling out the show as a whole for “bullying” the very rich woman in the very expensive clothes, dubbing it both “sad” and “disgusting” in the process. And while those were technically private tweets, given that Sanders tweeted them from the @PressSec account, and the status that the administration’s online hategasms have taken in the hierarchy of official communications, we have no choice but to assume that the United States is now at war with The View.